Mr Oizo is celebrating the 20 year anniversary of ‘Flat Beat’, a tune that took the world by storm and gave instant fame to the legendary Flat Eric (Mr Oizo’s head banging puppet). And today, Oizo, real name Quentin Dupleux, releases a fantastic new four-track EP titled ‘Rhythme Plat’ to mark the occasion (out now, on Ed Banger Records). The link between Flying Lotus and DJ Snake, Mr Oizo certainly is one of the few artists that continues to spark so much respect. And with ‘Rhythme Plat’, Oizo provides us with 4 different sounds for 4 different rooms. ‘Dolce Vita’ is a sultry slow-jam featuring the lush vocals of Italian DJ / Producer Phra aka Crookers. A track with an incredibly vintage feel and a wonderfully mellow groove. Getting dumped is never easy! And it can only be a good thing, when Mike D (Beastie Boys) introduces Mr Oizo. 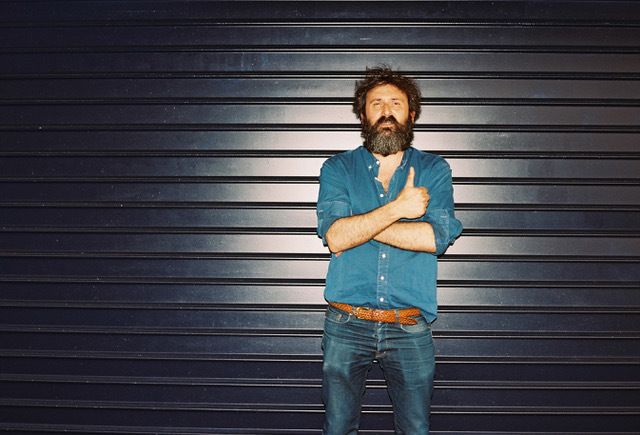 Next track, ‘Nuque’ is a textbook Oizo track, following a similar, playful formula to that of ‘Flat Beat’. It is packed full of punchy modulated synths and wide drum movements. Definitely a track to get our friend Flat Eric head-banging once again. Taking the tempo down slightly is ‘Rhythme Plat’ (Flat Beat in French!). Packed full of wavy, wobbling bass line work and stripped back, well swung percussion. Wickedly wonky sounds. Rounding off the EP is ‘Viandes Legumes Vehicules’. A twisted marching number. Minimal beats and a mild but driving bassline carry this track while a repeating vocal sits high in the mix. Imagine Dopplereffekt as an OST to a Jacques Tati movie. ‘Rhythme Plat’ (Flat Beat in French) only proves that his touch is timeless.